Many people enjoy listening to music, an audiobook, or relaxing soundscapes to as they drift off to sleep. But if you don’t enjoy wearing earbuds all night, you’re going to need a pair of headphones that are comfortable enough to fall asleep in. Bedphones from DubsLabs are the world’s thinnest headphones and are specially designed to wear whilst sleeping. 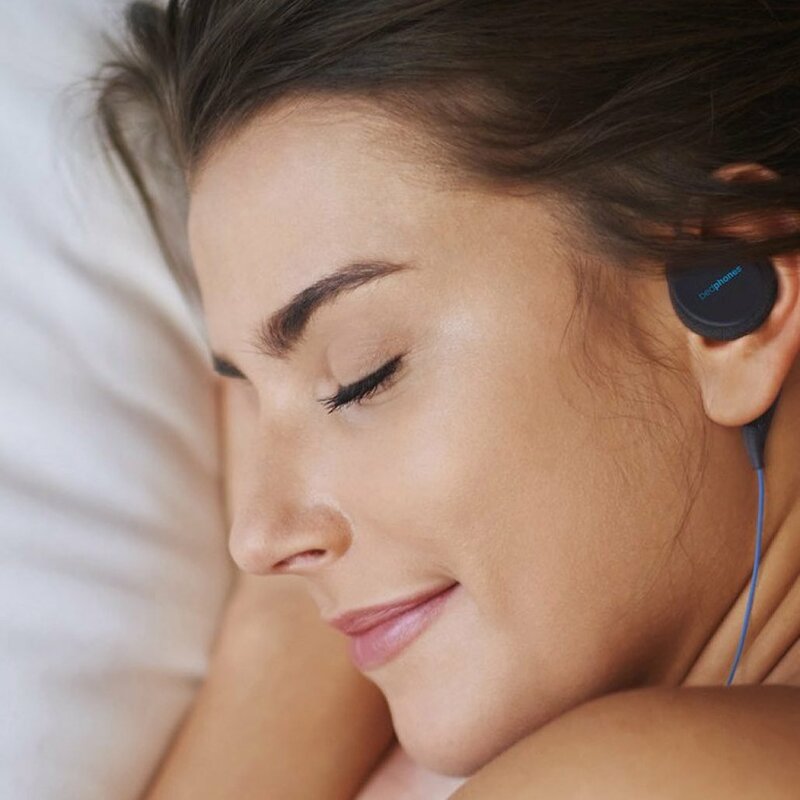 The patented on-ear design lies totally flat against your head so that Bedphones disappear between your ears and the pillow, helping you fall asleep faster. Founder Eric Dubs came up with the idea for Bedphones back in 2008 when he realised there weren’t any headphones on the market that were comfortable enough to wear in bed. Bedphones, (now at version Gen. 3.5 ) are built for comfort without sacrificing audio quality, perfect for listening in bed to music, audiobooks, or podcasts. Wearing Bedphones is an ideal way to mask out the sounds of your partner’s snoring, relieve the constant ringing of tinnitus or relax you to sleep with your favorite meditation tracks. 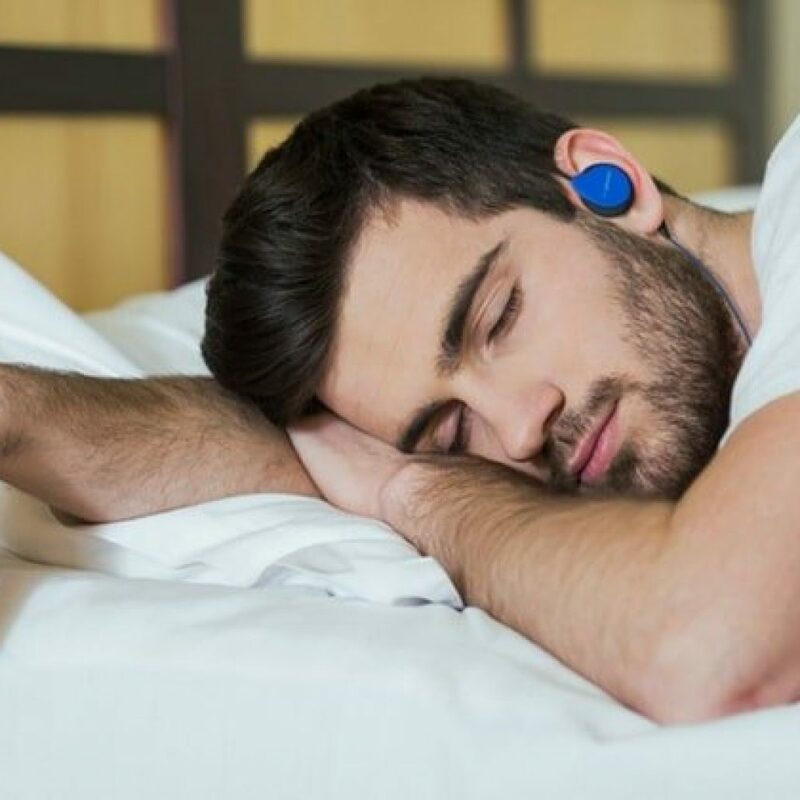 Bedphones feature unique memory-wire ear hooks which allow the phones to stay on your ears no matter how much you toss and turn while sleeping. The earhooks are infinitely adjustable and can be easily bent around the ears to provide a perfect fit for as many times as you want without worrying about damaging them. 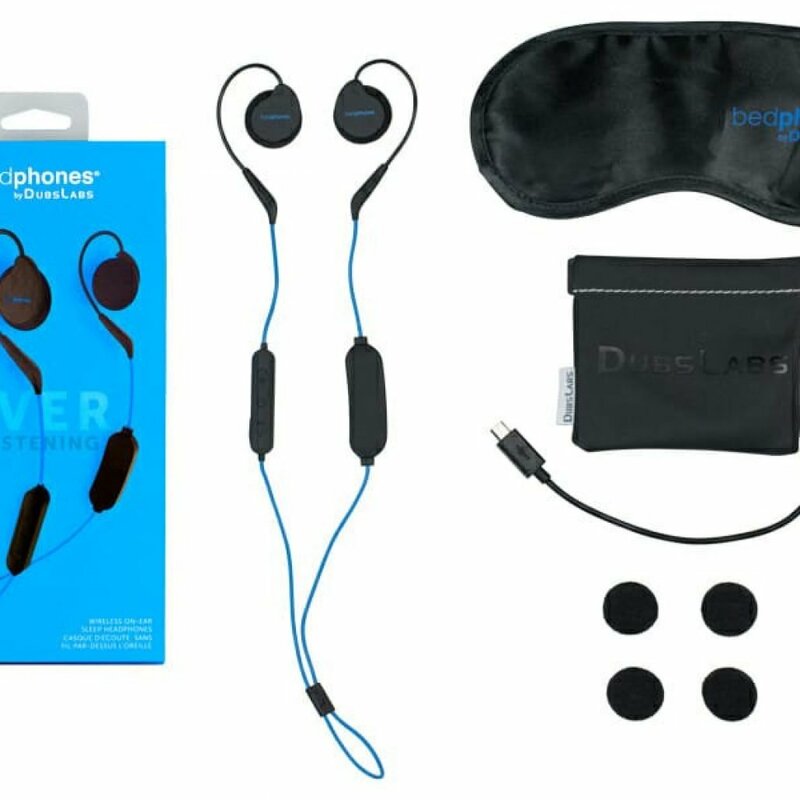 Besides using them while sleeping, Bedphones can be used anywhere – at the office, working out, hiking or mediating. 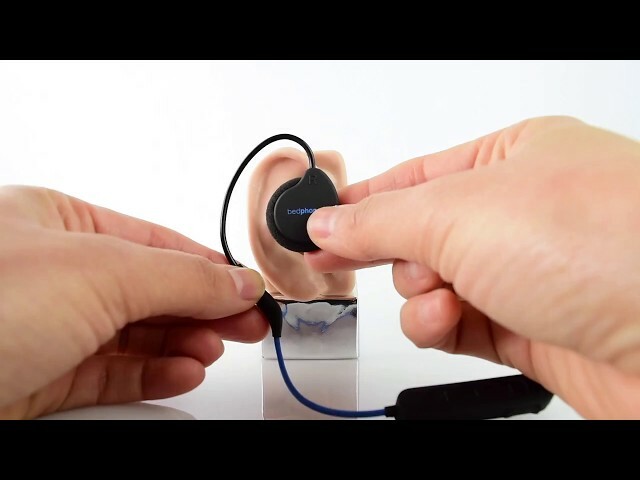 The headphones feature an inline microphone which also works as a remote that allows you to play, pause, or skip tracks. Bedphones come in a sturdy travel case along with a satin eye mask. If you don’t like the idea of having a headphone cord in bed with you, there’s also a wireless option available. 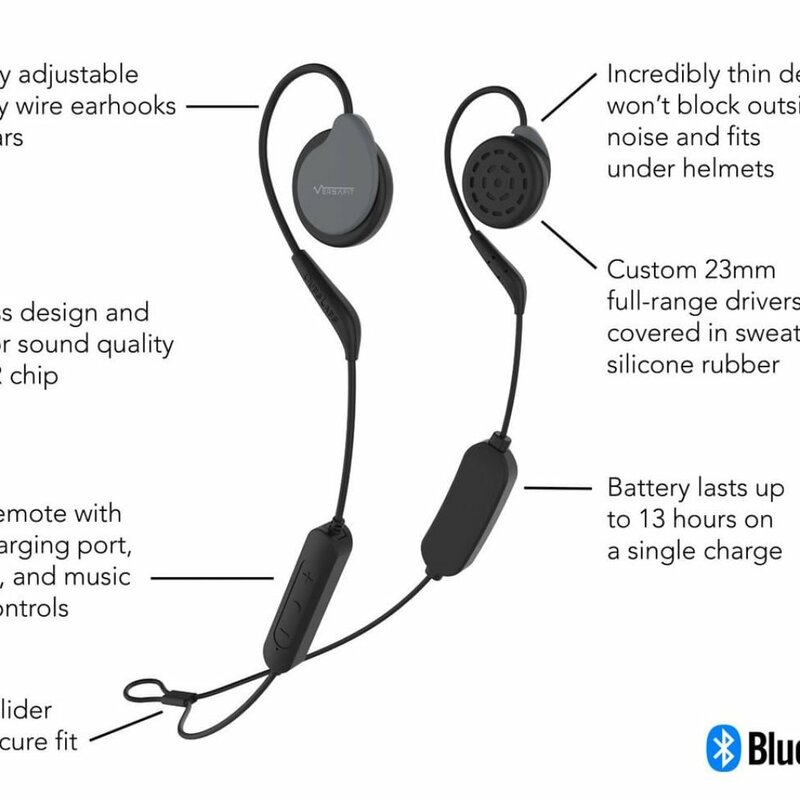 Bedphones wireless sleep headphones feature the same 23mm full-range drivers, memory wire hooks, and superior sound quality as the wired version, but with the added benefit of cord-free wireless Bluetooth streaming. The built-in battery lasts up to 13 hours on a single charge, plenty enough to see you through a night’s sleep. 23 mm full-range drivers are protected with soft foam padding for maximum comfort day and night.